Plot: The Ottoman Lieutenant is a love story between an idealistic American nurse and a Turkish officer in World War I. Starring: Michiel Huisman, Hera Hilmar, Josh Hartnett, Ben Kingsley. 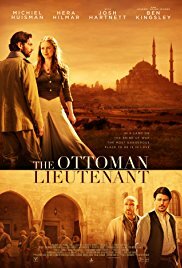 distributed by Paladin «The Ottoman Lieutenant» in the US movie theaters released on March 10, 2017 and has grossed over $241k worldwide; dvd and blu-ray release date was set for August 1, 2017. Rent from Netflix and Redbox from August 1, 2017. «The Ottoman Lieutenant» in the UK has no theatrical release date. The movie released on dvd and blu-ray on August 7, 2017.